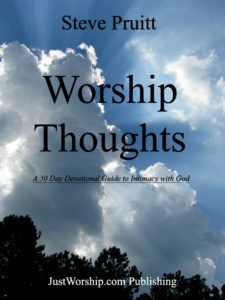 Worship Thoughts is a newly revised compilation of Steve’s devotionals that are posted on JustWorship.com. The book is designed to navigate the reader through 50 days of worship and praise. Additional scripture references and note space are provided for further study.